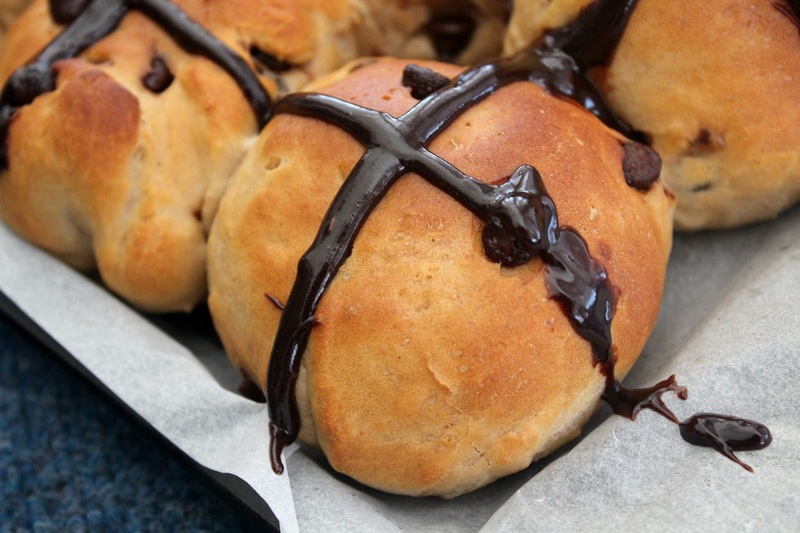 Today I have a final Easter recipe for you - chocolate hot cross buns. This recipe is technically a throwback to last year, but I am reposting it with better pictures. I'm now off to spend the weekend with my family (brother, parents and Dad's parents) but will be back next week for my uni break. Hope everyone is well! 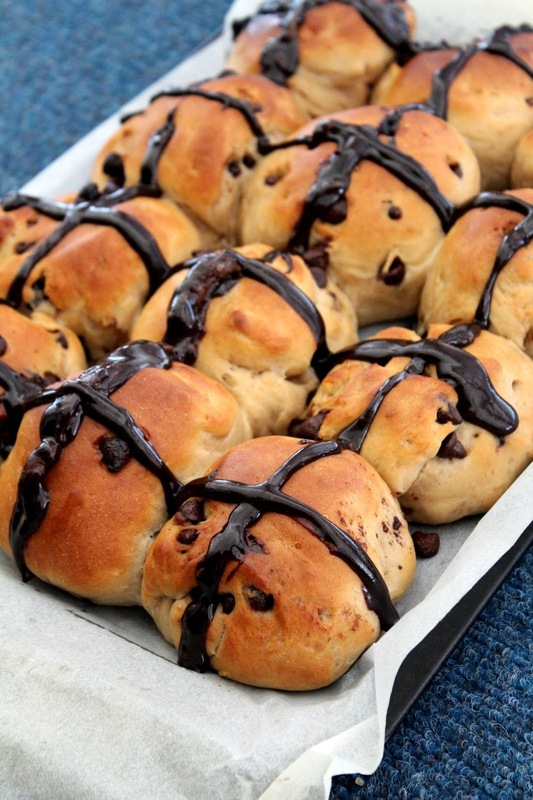 This is a brilliant recipe for Easter. We had ours with cold orange juice, which was amazing, and some Carmello and Malteser eggs. Obviously, as this is an Easter themed treat, you can serve it with anything you want – but we loved having ours as a mini-brunch. 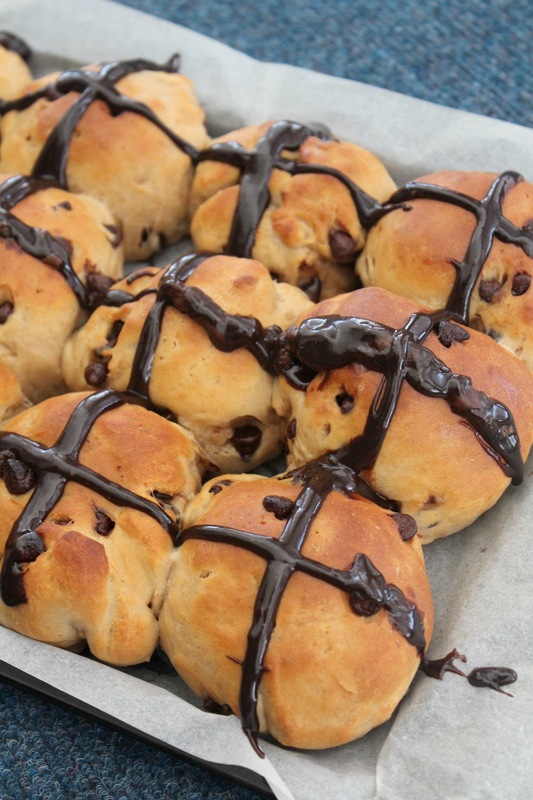 After this, while the muffins are warm, make the crosses. 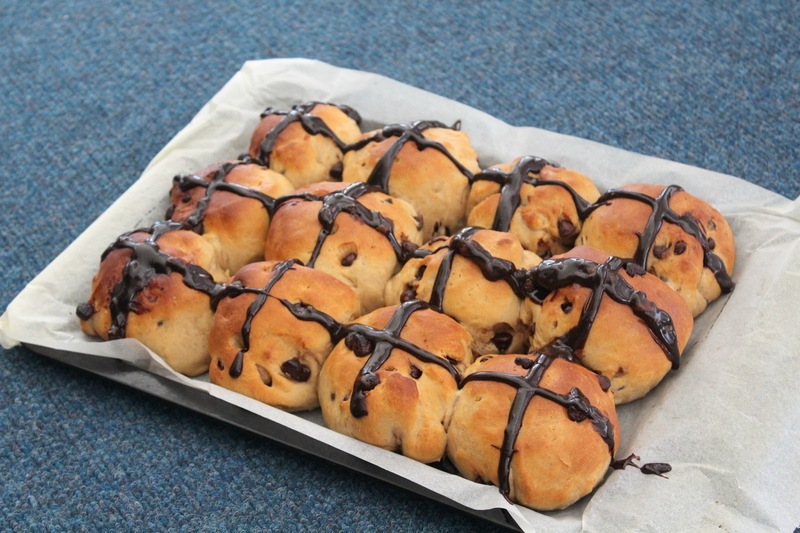 I used a knife and Nutella to simply spread the nutella over the buns to make a cross. I also used, for these pictures, homemade ganache, which I simply placed in a zip lock bag, pushed down to one corner, cut the corner of the zip lock bag off, and squeezed out the ganache to make the crosses. These look gorgeous! 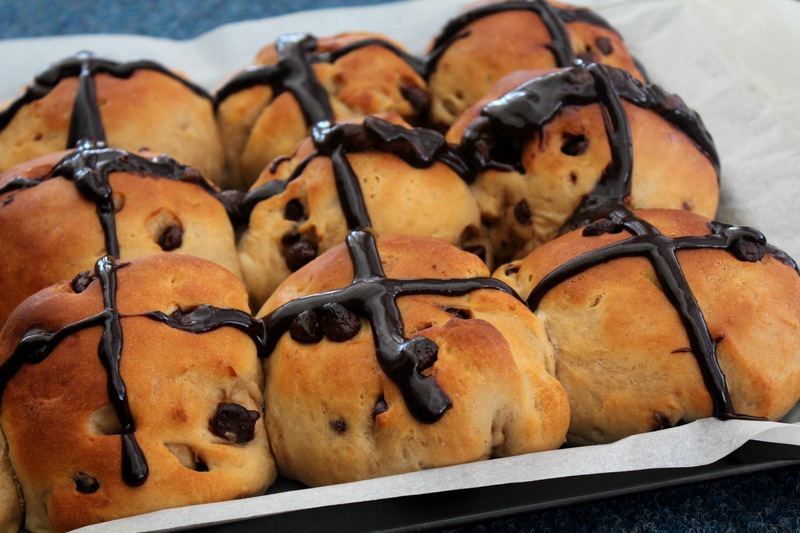 I made some cinnamon and apple hot cross buns yesterday. 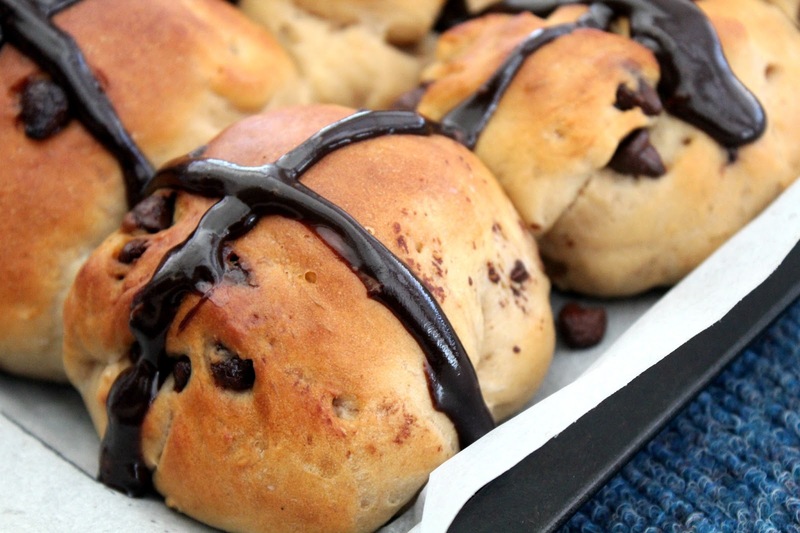 I wish I would have seen the recipe for these before Easter .... but I guess these will taste great anytime of the year, rigt? They really do like delicious!!! 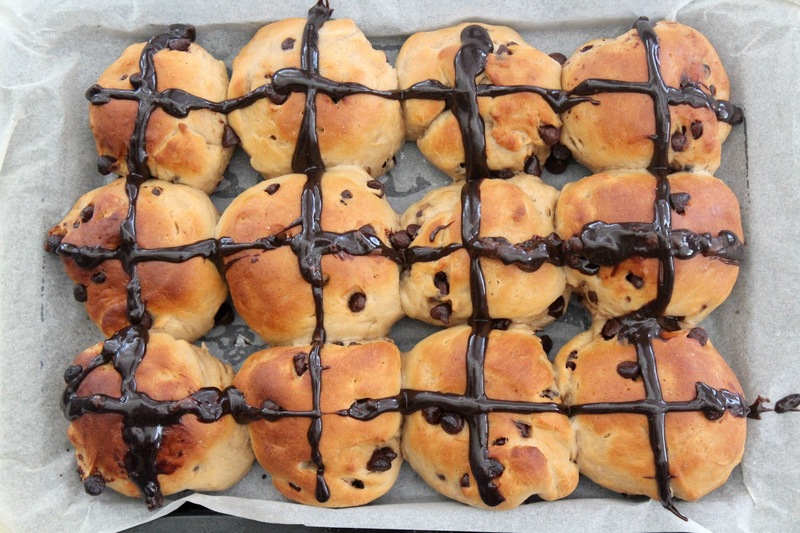 Haha, I made them for Easter but I would totally make them any other time and just not do crosses so they seem less Easter-y.